Few, if any countries can claim such an iconic cultural landscape. On this site, Australian agriculture, horticulture and botanical science began. I was fortunate to have managed the botanical estate between 1992 and 2003, so I have good knowledge about the personalities and the politics that have shaped what is poised to be reshaped. Sydney Botanic Gardens is a rich, eclectic mix of skilled botanical, ecological and horticultural staff, plus an equally rich, historical landscape. These staff are dedicated, they underpin Australia’s oldest scientific organisation. 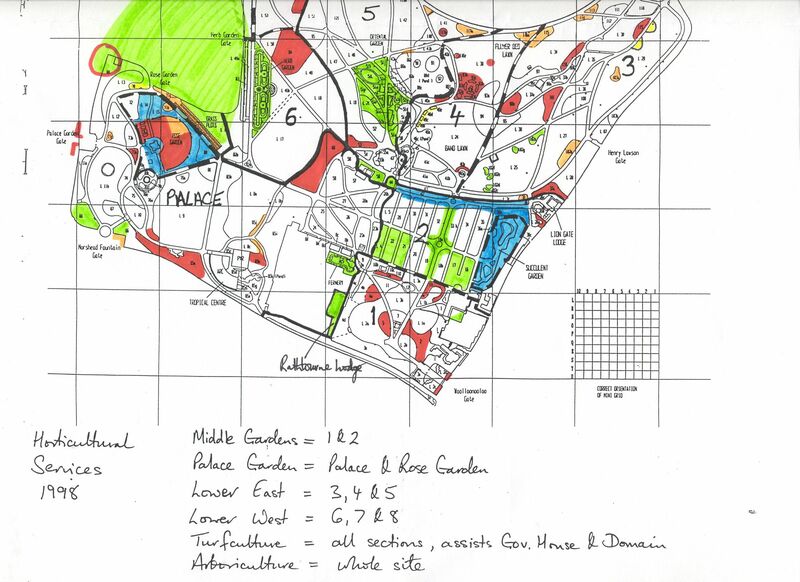 Those gardens experienced so much physical and organisational change during my time there, I often needed more than one page to a day in my diary. Visitors who think the gardens do not change would be surprised if they knew. The gardens has a history of adopting infrastructure designed by external consultants. Fair enough, they need architectural input. But architects are not scientists or botanic gardeners. This well of staff knowledge rarely cultivates change. Take the now redundant Tropical Centre. Instead of designing a glasshouse complex suited to growing and interpreting the value and beauty of tropical plants, the public got a white elephant. A dark, dank, draughty Arc and Pyramid complex was inserted into a location few visited and even fewer could enjoy or learn about plants. The Tropical Centre design was all about style and nothing to do with science or horticulture. When I inherited this liability, glass panels in the Pyramid were occasionally dropping inwards, and the heating bill was around $90k a year. Colleagues joked about the fact that many of the display plants inside were also capable of being grown outdoors. This drained the maintenance budget, and unnecessarily absorbed productive gardening time. The architect had won an award, complicating making this ‘public asset’ achieve its inspirational mission. During my tenure the government initiated a process called ‘market testing’, where in house services, like lawn maintenance and tree maintenance, were independantly assessed for their value for money against their commercial equivalents. The result? Not only did the botanic gardens provide services of a higher standard, they were more economical. Gardens staff won hands down. Change can be uplifting. Our two year programme aimed at improving the aesthetic appearance of the gardens in readiness for hosting the Sydney Olympics Triathlon succeeded. Together we delivered a breathtakingly beautified landscape, showcasing Australian plants to our international guests. Garden enthusiast, Janet Holmes a Court, declared ‘the gardens looked their best in the thirty years she had known them’. What will make, or break, further change to this most celebrated and deeply loved botanical garden and site of Australia’s First Farm largely depends on input from its own skilled scientists and gardeners. If bureaucrats and temporary political leaders have it all their own way, we will lose Australia’s premier cultural, historical and scientific landscape. Every premier deserves to enjoy their legacy. Let the staff brief the architects, and change will be beautiful, successful and thrifty. Now that the curator of Mt Cootha Botanical Gardens has retired after 40 years, what changes might there be for Brisbane’s City and Toowong gardens? A better website for the Mt Cootha gardens would be a great start. It is very basic and does not do credit to the beautiful gardens. They have the most wonderful resources within the gardens such as the BCC gardening library which is open to the public, the Planetarium and the Herbarium.